Silverlake is an estate of up to 1000 holiday homes and leisure facilities. It’s set amongst lakes in a former sand quarry in Dorset. Outline planning permission was granted in 2014 with a Masterplan and Design framework approved in 2015. 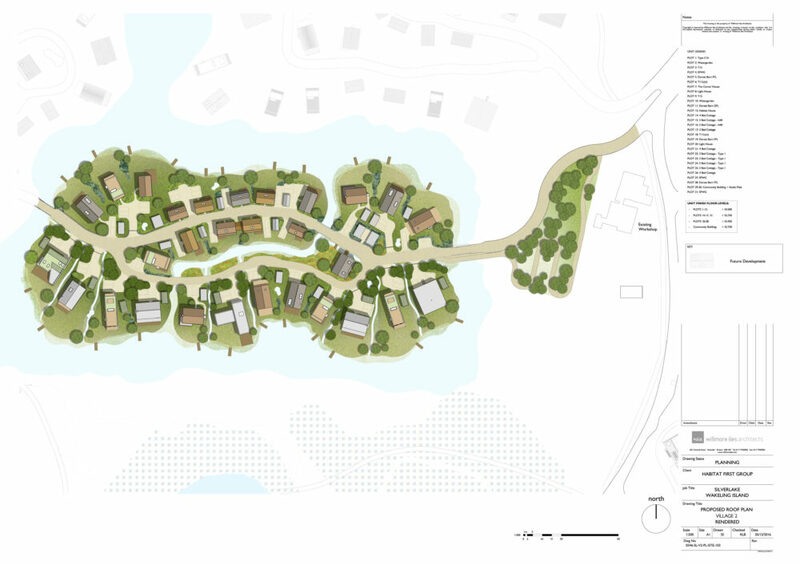 In 2014 Habitat First Group (HFG) secured an outline planning consent for a sustainable vacation community. 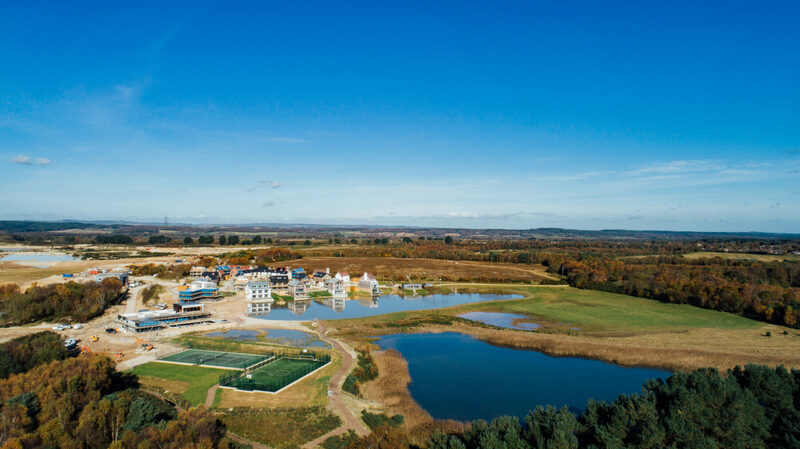 Set on the site of a 600-acre redundant sand quarry it included up to 1,000 holiday homes and a hotel. The outline consent agreed the principle of development and zoning of ecological and habitat enhancements, but not the layout and design of buildings. 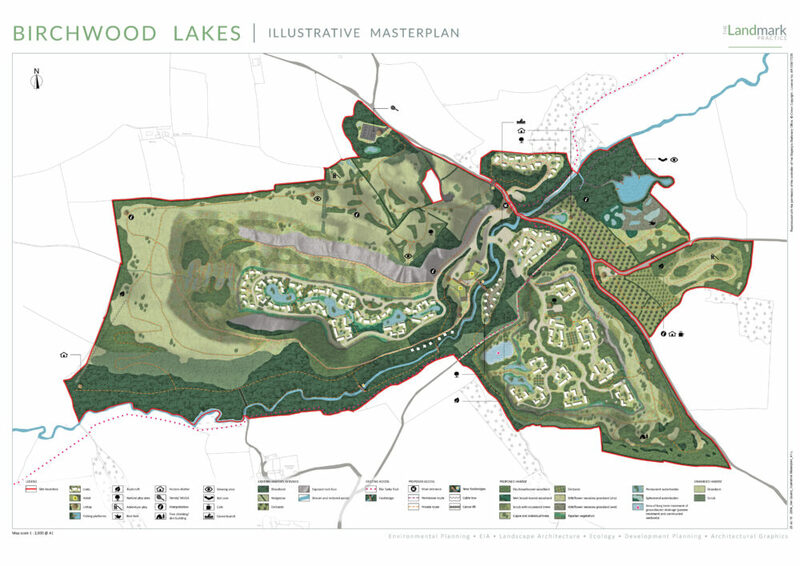 HFG appointed Willmore Iles Architects to develop a detailed Masterplan and Design Framework to meet these planning conditions. The senior planning officer set the task for the masterplan: visitors to the development should always know that they are in Dorset, and where they are in the site. The challenges of how to create legibility and local distinctiveness in a 600-acre sand pit were significant. Large areas of the site were so featureless that it had been used for filming episodes of Doctor Who, standing in for the planet Segonax. Our design proposals were informed by a comprehensive analysis of West Dorset villages. We paid particular attention to the village centres, the scale, massing, proportion and materials of the vernacular housing. And also how the built form related to the roads and the sense of enclosure created. The permitted Design framework built upon this analysis to create a flexible framework, rather than a rigid design code, This is more suited to the business model of Habitat First where clients build bespoke housing to their own designs. You can see the benefits of this flexible approach in the first phase of development at Beaumont Village. The layout and locally distinctive buildings create a well-defined village centre with a strong character. 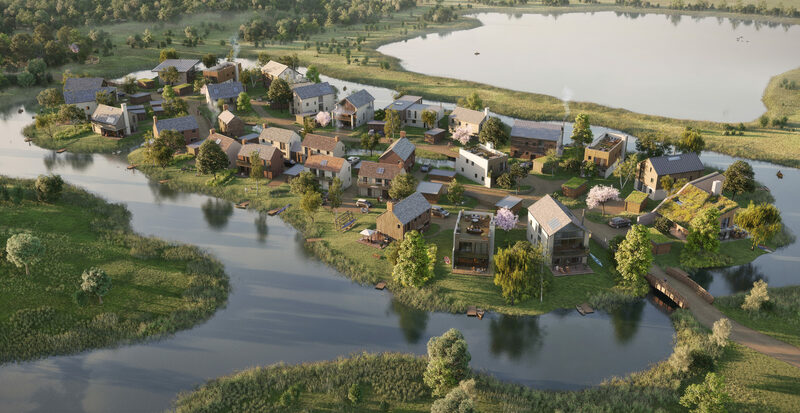 The organic nature of the development, along with individual clients creating bespoke homes, is in strong contrast to typical speculative housing developments. The project has also been commercially successful with strong demand for following phases. The practice now has 120 units either in planning or construction, representing five phases of development at Silverlake. 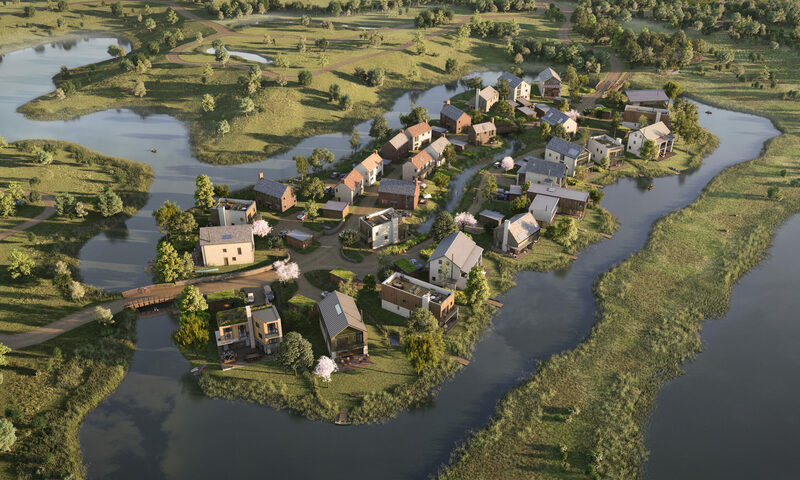 One of the future villages is centred around a village green / cricket pitch. Another has a unit located on its own private island. These features did not appear in the masterplan but have evolved through the flexible design framework in dialogue with the council. And always with the principles of unique placemaking at their heart. With permission for 1,000 units the site offers enormous potential for future innovation.